The Palais Royal is a 17th century royal palace located in central Paris. This photograph not only highlights the elegance of this building, but it also features the courtyard, which is known for the large sculpture art installation of black and white columns by Daniel Buren (installed in 1986). 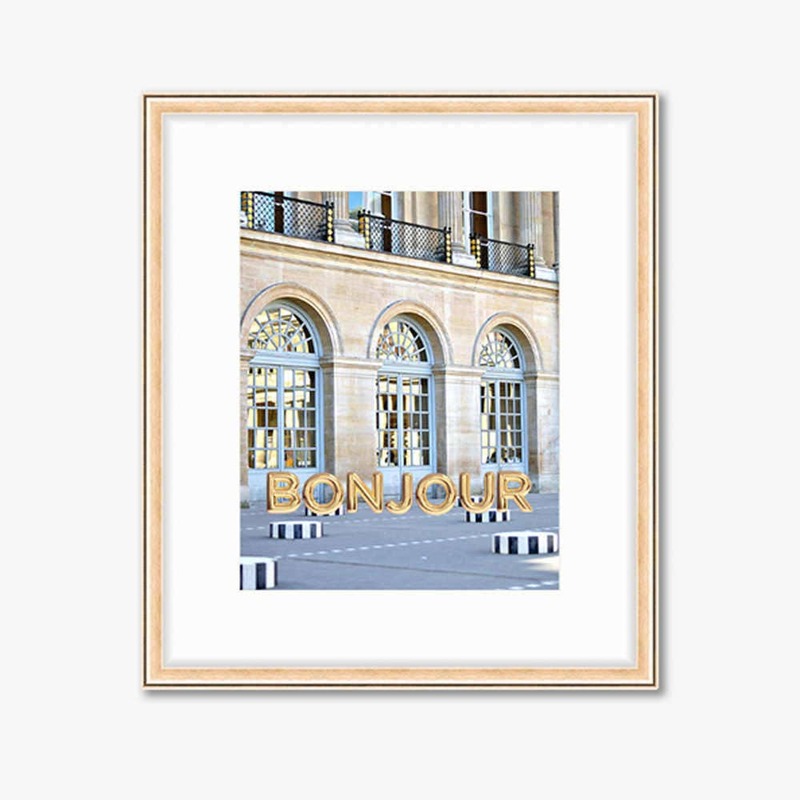 A bit of whimsy is added to this architectural gem with gold foil balloons that spell bonjour!